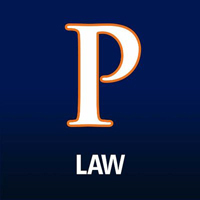 Pepperdine University School of Law logo/Twitter. The gift, which comes with naming rights, is the largest single endowment in the law school’s history, writes dean Paul Caron at Tax Prof Blog. Sudreau received the equivalent of a law degree in her native country of France before coming to the United States in 1993. She landed a job with Dewey Ballantine as a foreign consultant, according to a law school profile about her. After working in-house for companies including Fox Kids and CBS, Sudreau took a job with her family’s Louis Dreyfus Group, a diversified private French company involved in agriculture and energy commodities. The gift is Sudreau’s second to Pepperdine Law after committing $3 million in 2011 to fund an endowed chair for faculty members who have overcome significant obstacles, according to the law school’s publication. That donation came after her mother’s death from breast cancer and her husband’s Stage IV lung cancer diagnosis.